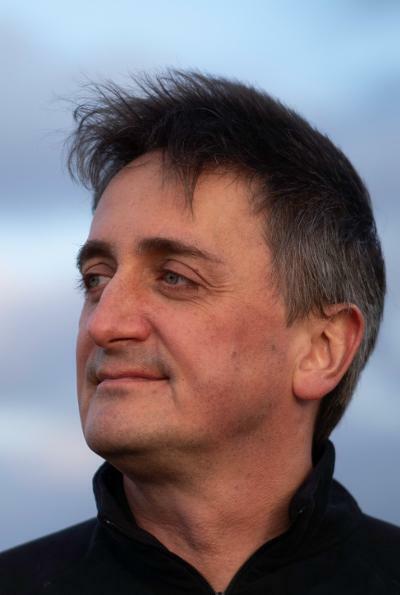 Dr Jonathan Copley is Associate Professor in Ocean Exploration & Public Engagement (part-time) within Ocean and Earth Science, National Oceanography Centre Southampton at the University of Southampton. I am a marine biologist and 'bathynaut' who went on the first minisub dive to the world's deepest hydrothermal vents (5 km down on the ocean floor) and took part in the first minisub dives to 1 km deep in the Antarctic. I am also an award-winning communicator, educator, writer, and co-founder of a company that provides training for scientists to share their work with wider audiences. My research explores colonies of animals on the ocean floor to understand patterns of life in the deep sea that covers most of our world. By studying marine life in "island-like" seafloor habitats such as hydrothermal vents, cold seeps, and whale-falls, my work examines interactions between ecology ("who does what"), biogeography ("who lives where"), and evolution ("who is related to whom") in the deep ocean. I have more than twenty years of experience in exploring deep-ocean environments, including leading expeditions aboard research ships and discovering new species of deep-sea animals. My work has contributed to consultations by policymakers to guide the protection of deep-sea habitats, and I produced a 4* 'Impact Case Study' in the UK's REF2014 assessment based on a programme of public engagement with research. I have taught undergraduate and Masters students in marine biology and oceanography since 2000, including creating new modules in degree programmes. I was Director of Postgraduate Taught Programmes in Ocean & Earth Science, and I have provided training for research students and early career researchers across the University. I was also Lead Educator in the development of the university's free online course (a 'MOOC' - Massive Open Online Course) about 'Exploring Our Oceans'. I work with TV, radio, and online documentary-makers to share the exploration of the deep ocean with people worldwide, for example as a science advisor for the BBC's Blue Planet II series, and I routinely interact with news media to raise awareness of deep-sea issues and my team's discoveries. I am the author of 'Ask an Ocean Explorer', published by Hodder & Stoughton in 2019, and I occasionally write "popular science" articles about marine science and technology for media outlets, having been a Reporter and Assistant News Editor at New Scientist magazine. I teach courses in popular science writing, presentation skills, media interviews, and online engagement for scientists at universities and organisations across the UK and in Europe. In 2006 I co-founded SciConnect Ltd, a company that has so far trained more than 12,000 researchers, from PhD students to Profs, in how to share their work with wider audiences, with the goal of enhancing the contribution of science to society (and vice-versa). Why do we find particular species of animals at hydrothermal vents in some areas but not elsewhere? Why are some types of animals more widespread than others in habitats such as hydrothermal vents or cold seeps around the world? These are the big questions, and answering them should give us a better understanding of how species disperse and evolve in deep-sea habitats. Answering them also involves describing new species from the areas that we are exploring, and analysing their genetic code to determine how they are related to other species elsewhere. Within a hydrothermal vent field, cold seep, or whale-fall, my goal is to understand what lives where and why. For example, why are some species abundant on vent chimneys, while other species only thrive at the edge of a vent field? Unfortunately we can't stroll around the ocean floor as easily as ecologists do on rocky shores to investigate their patterns of life, so we are developing new techniques to study the microdistribution of animals in these environments, using high-definition cameras and the precision-control capabilities of the latest generation of remotely operated vehicles (ROVs). How do animals "hop" from vent to vent, or seep to seep, or whale skeleton to whale skeleton, in the deep ocean? The species we find in these island-like habitats on the ocean floor seem to have a variety of life cycles, types of larval development, and reproductive patterns. But are some features of their life-history biology "preadaptations" for success in these environments? And what are the consequences of differences in life-history biology for dispersal, gene flow, and ultimately biogeography? My work in this area involves characterising the life-cycles of animals from hydrothermal vents, cold seeps, whale-falls, and wood-falls, in conjunction with studies of the genetics of their populations by colleagues around the world. Co-Investigator, The colonisation of hydrothermal vents by complex life: a natural experiment in macroevolution (NERC £433k Standard Grant), 2017-2020. Principal Investigator, Hydrothermal activity and deep-ocean biology of the Mid-Cayman Rise (NERC £462k Standard Grant), 2009-2014. Co-Investigator, ChEsSo: Chemosynthetic Ecosystems of the Southern Ocean (NERC £3.2 million Consortium Grant), 2008-2014. Principal Investigator, Biogeography and ecology of the first known deep-sea vent site on the ultraslow-spreading SW Indian Ridge (NERC £35k Small Grant), 2011-2012. Lead investigator, Deep-sea vents between the Azores and Iceland: missing piece in a global puzzle of marine life (£43k National Geographic Expeditions Fund Grant), 2011-2012. Partner, DEEPSETS: Deep-sea & Extreme Environments, Patterns of Species and Ecosystem Time Series (£164k EU FP6 MarBEF Network of Excellence project), 2004-2009. Advisory board member, EU Horizon2020 RETHINK project, examining science communication across Europe, 2019-2021. Exploring the deep (£7k NERC Summer of Science public engagement grant), 2016. Amber Cobley (2015-): Open oceans, open data: biodiversity and policy in the global deep-sea mining frontier (co-supervised Adrian Glover, Natural History Museum; & Maria Baker, University of Southampton). Dr Abbie Chapman (PhD, 2014-2018): A functional trait perspective on the biodiversity of hydrothermal vent communities (co-supervised with Amanda Bates, Memorial University of Newfoundland, Canada; Adrian Glover, Natural History Museum; & Verena Tunnicliffe, University of Victoria, Canada). Dr Laura Hepburn (2009-2015): Geochemistry of hydrothermal systems south of the Antarctic Polar Front (co-supervised with Rachel Mills, University of Southampton). Dr Chong Chen (DPhil 2011-2015, Oxford University): Systematics and population genetics of peltospirid gastropods at southern hemisphere hydrothermal vents (co-supervised with Alex Rogers, Oxford University; & Katrin Linse, British Antarctic Survey). Dr Nicolai Roterman (DPhil 2009-2014, Oxford University): Biogeography of deep-sea polar hydrothermal vent and cold seep communities (co-supervised with Alex Rogers, Oxford University; & Katrin Linse, British Antarctic Survey). Dr Leigh Marsh (2009-2013): Controls on faunal microdistribution and reproductive development in deep-sea chemosynthetic environments (co-supervised with Paul Tyler, University of Southampton). Dr Verity Nye (2010-2013): Life history biology and biogeography of invertebrates in deep-sea chemosynthetic environments (co-supervised with Paul Tyler, University of Southampton). Dr Diva Amon (2010-2013): Bone-eating worms and wood-boring bivalves: characterising the ecology of deep-sea organic falls from multiple ocean basins (co-supervised with Adrian Glover, Natural History Museum). Dr Daphne Cuvelier (2006-2011, University of the Azores): Temporal evolution of Mid-Atlantic hydrothermal vent communities (co-supervised with DEEPSETS colleagues across Europe). Dr Hannah Flint (2003-2007): Meiofaunal diversity of hydrothermal vents and cold seeps (co-supervised with Tim Ferrero, Natural History Museum). Provided written evidence to the House of Commons Environmental Audit Commitee inquiry on Sustainable Seas, quoted in its final report (2019). Copley J (2018). Opportunities and challenges of the deep ocean: a choice for our future, Science In Parliament, Autumn 2018 issue, pg 7-8. Guest speaker, Parliamentary & Scientific Committee "Into the deep - exploring our oceans" event (2018). Contributed comments on the first draft of regulations for mineral exploitation by the UN International Seabed Authority (2016). Provided written evidence to House of Commons Environmental Audit Committee inquiry on Marine Protected Areas, quoted in its final report (2016). Contributor to Parliamentary Office of Science and Technology Briefing Note on deep-sea mining (2015). Participant, Royal Society Parliamentary Pairing Scheme (2014). Prepared case for an Ecologically or Biologically Sensitive Area (EBSA) in the Indian Ocean, submitted by the UK to a regional meeting of the UN Convention on Biological Diversity (2013). Participant, MV Alucia expedition to the Antarctic Peninsula, December 2016, with the Nadir and Deep Rover 2 submersibles. Participant, RV Yokosuka Voyage YK13-05 (Japan Agency for Marine-Earth Science and Technology), Mid-Cayman Spreading Centre, Caribbean Sea, June 2013, with the Shinkai6500 submersible. Principal Scientist, RRS James Cook Voyage 82, Mid-Cayman Spreading Centre, Caribbean Sea, February 2013, with the Isis remotely operated vehicle (ROV). Principal Scientist, RRS James Cook Voyage 67, SW Indian Ridge, November 2011, with the Kiel6000 ROV. Participant, RV Celtic Explorer Voyage CE11009 (Irish Marine Institute), northern Mid-Atlantic Ridge, July-August 2011, with the Holland-1 ROV. Participant, RRS James Cook Voyage 55, Southern Ocean, January-February 2011. Participant, RRS James Cook Voyage 44, Mid-Cayman Spreading Centre, Caribbean Sea, March-April 2010, with the Autosub6000 autonomous underwater vehicle (AUV). Participant, RRS James Cook Voyage 42, East Scotia Ridge, Southern Ocean, January-February 2010, with the Isis ROV. Participant, RRS James Clark Ross Voyage 224, East Scotia Ridge, Southern Ocean, January-February 2009. Participant, Sumatra Earthquake And Tsunami Offshore Survey (SEATOS), MV The Performer with Magellan 825 ROV, Indian Ocean, May 2005. Participant, RV Knorr expedition to Mid-Atlantic Ridge hydrothermal vents with Jason-2 ROV, November 2004. Participant, RV Seward Johnson expedition to Gulf of Mexico cold seeps with Johnson Sealink submersibles, November 2003. Participant, RRS James Clark Ross Voyage to Amundsen Sea with Autosub-2 AUV, February-April 2003. Participant, RV Seward Johnson expedition to Gulf of Mexico cold seeps with Johnson Sealink submersibles, February 2003. Participant, RV Edwin Link expedition to Gulf of Mexico cold seeps with Johnson Sealink submersibles, March 2002. Participant, RRS Charles Darwin Voyage 120 to NE Atlantic. Participant, DSSVS Laney Chouest expedition to Juan de Fuca Ridge hydrothermal vents with DSV Sea Cliff and Advanced Tethered Vehicle ROV of US Navy Deep Submergence Unit, September-October 1995. Participant, British-Russian Atlantic Vents Expedition 1994 (BRAVEX/94) aboard RV Academik Mstislav Keldysh with Mir submersibles of the Russian Academy of Sciences, July-September 1994. Flint, H. C., Copley, J. T., & Ferrero, T. J. (2006). Patterns of nematode diversity at hydrothermal vents on the East Pacific Rise. Cahiers de Biologie Marine, 47(4), 365-370. Copley, J. T. (2006). Treats from the deep. Marine Scientist, (17), 10-15. Copley, J. (2005). Springtime in the abyss. New Scientist, 188(2525), 44-48. Copley, J. (2004). Toxic brew engulfs Namibia's fisheries. New Scientist, 181(2433), p.16. Copley, J. (2003). Book revew: Utopia under the sea. (Monturiol's Dream, by M. Stewart, Profile, ISBN 1861974701). New Scientist, 179(2406), 46. Copley, J. (2003). Book review: Rime of the ancient submariner. (Ghosts of the Abyss, by D. Lynch and K. Marschall, Hodder & Stoughton/Madison Press, ISBN 0340734167). New Scientist, 178(2399), 52. Copley, J. (2003). Proof of life. New Scientist, 177(2383), 28-31. Copley, J. (2002). ....and taxes. New Scientist, 173(2331), 48-49. Copley, J., & Le Page, M. (2002). Body gets a healing boost from its inner electric fields. New Scientist, 175(2362), 15. Copley, J. (2002). Good clean competition - Valet fish have to be honest if they want to keep their customers. New Scientist, 174(2340), 10. Copley, J. (2002). Icy waste. New Scientist, 176(2364), 55. Copley, J. (2002). Rodents to rat on criminals. New Scientist, 174(2347), 13. Copley, J. (2002). Water world. New Scientist, 173(2336), 48. Copley, J. (2001). Fair-weather friends - bleaching of reefs may by a risky gamble by corals to adapt to warmer seas. New Scientist, 170(2295), p.5. Copley, J. (2001). Fussy fish fake it. New Scientist, 169(2282), p.18. Copley, J. (2001). Here's looking at you - but getting a monkey's attention at a party could be a problem. New Scientist, 170(2290), p.17. Copley, J. (2001). Hit and run on the high seas - slowing down traffic will save right whales from extinction. New Scientist, 169(2275), p.14. Copley, J. (2001). Life at deep sea volcanic vents. Ocean Zone, Southampton Oceanography Centre, No.4, 2-3. Copley, J. (2001). Load of old bull - biologists have been hoodwinked by an elaborate 80-year-old fraud. New Scientist, 169(2278), p.12. Copley, J. (2001). Lost and found - have we finally located the legendary island of Atlantis? New Scientist, 171(2309), p.17. Copley, J. (2001). Love is in the air - smell your partner if you want to know whether the romance will last. New Scientist, 171(2304), p.15. Copley, J. (2001). Raging bull - don't worry about the horns, it's the hairstyle that matters. New Scientist, 170(2293), p.16. Copley, J. (2001). Sea spirit (book reviews: Reefscape, by R. Love, Joseph Henry Press, 2001; Blue Frontier: Saving America's Living Seas, by D. Helvarg, W.H. Freeman, 2001; Shark Attacks: Their Causes and Avoidance, by T. Allen, Lyons Press, 2001). New Scientist, 171(2301), p.63. Copley, J. (2001). Some like it hot. New Scientist, 172(2315), p.23. Copley, J. (2001). Spoiling for a fight - sometimes it's best not to know who you're up against. New Scientist, 171(2301), p.16. Copley, J. (2001). Why the Earth is blue (review of: The Blue Planet by A.Byatt et al, BBC Books, 2001). New Scientist, 172(2312), p.53. Copley, J. (2000). Deeper meaning to a glittering enigma. New Scientist, 166(2238), p.9. Copley, J. (2000). In from the cold. New Scientist, 166(2234), 30-35. Copley, J. (2000). Making waves. New Scientist, 166(2241), p.15. Copley, J. (2000). Master blaster. New Scientist, 168(2260), 11. Copley, J. (2000). Ooze cruise. New Scientist, 165(2229), 26-29. Copley, J. (2000). Rival species indulge in sperm warfare. New Scientist, 165(2231), p.13. Copley, J. (2000). Sneak attack - Are sharks at the heart of a long-standing Caribbean mystery? New Scientist, 168(2267), 22. Copley, J. (2000). Speaking in whistles. New Scientist, 167(2254), p.6. Copley, J. (2000). Tainted wilderness - Humans have left their mark on the Antarctic. New Scientist, 168(2260), 10. Amon, D. J., Wiklund, H., Copley, J. T., & Glover, A. G. (2012). Three species of Osedax from the deep Southern Ocean. Paper presented at 13th Deep-Sea Biology Symposium, New Zealand. Amon, D., Copley, J. T., Wiklund, H., & Glover, A. G. (2012). Three species of Osedax from the deep Southern Ocean. Paper presented at Prof Paul Tyler Retirement Meeting: Deep-Sea Biodiversity and Life-History Processes, United Kingdom. Murton, B., Copley, J., Connelly, D., & et al (2011). Hydrothermal vents at 5000m on the Mid-Cayman Rise: where basement lithology and depth of venting controls sulphide deposit composition. In OCEANS 2011 MTS/IEEE KONA Conference & Exhibition (pp. 4pp). Richardson, US: MTS/IEEE. Amon, D., Glover, A. G., Wiklund, H., Linse, K., & Copley, J. T. (2011). Taxonomic composition and microdistribution of fauna on a natural whale fall at 1400 m depth in the Southern Ocean. World Conference on Marine Biodiversity, United Kingdom. Nye, V., Copley, J., & Plouviez, S. (2011). The world's deepest known vent shrimp: a new species of Alvinocarididae from hydrothermal vents on the Mid- Cayman Spreading Centre. Poster session presented at World Conference on Marine Biodiversity 2011, United Kingdom.